The Protestant Reformation did not reject the idea of catholicity. It simply claimed that the Pope was a usurper… At least through the seventeenth century, the principle of [visible] catholicity remained theoretically intact. The ideal was to have one orthodox church in any given region… It was in America that this older understanding of [visible] catholicity utterly disintegrated… The old idea of [visible] catholicity–one church per region–had broken down. It was only in 1789 that Presbyterians revised their Confession of Faith to become the first Christian confession to make denominational pluralism an article of faith [23.3]… This new section, added in 1789, had the effect of altering the meaning of the Confession’s statement on the catholicity of the visible church (25.2-5), rendering the older concept of one church per region untenable. Our interest here is that Hodge’s understanding of the visible/invisible Church distinction is identical to the Reformed Baptist understanding – which is often dismissed offhand as an uninformed misunderstanding of Scripture simply because it differs from Westminster’s. Like Jean Claude, Hodge sought to explain what is meant by “the communion of saints” in the Apostles’ Creed. The Church is declared to be the temple of God… the family of God… the flock of Christ… the bride of Christ… These descriptions of the Church are inapplicable to any external visible society as such; to the Church of Rome, the Church of England, or the Presbyterian Church. The only Church of which these things are true, is the communion of saints, the body of true Christians. The General Call a Call to Bare Profession? A second and more plausible objection is founded upon those parables of our Lord in which the kingdom of heaven is compared to a net containing fish, good and bad, and to a field in which tares grow together with the wheat. As the church and kingdom of heaven are assumed to be the same, it is inferred that if the one includes good and bad, so must also the other. [T]he parables in question were not intended to teach us the condition of membership in the kingdom of heaven, they cannot decide that point. In one place Christ asserts didactically, that regeneration by the Holy Spirit is essential to admission into his kingdom; shall we infer, in direct opposition to this assertion, that his kingdom includes both the regenerate and unregenerate, because he compares it to a net containing fishes, good and bad? Certainly not, because the comparison was not designed to teach us what is the condition of membership in his kingdom. This, however, is the precise point in dispute. What is the church? What is the condition of membership in the body of Christ? Does his body consist of all the baptized, or of all true believers ? As our Lord did not intend to answer these questions in those parables, they do not answer them. The design of each particular parable is to be learned from the occasion on which it was delivered, and from its contents. That respecting the tares and the wheat was evidently intended to teach, that as God has not given us the power to inspect the heart, or to discriminate between the sincere and insincere professors of religion, he has not imposed on us the obligation to do so. That is his work. We must allow both to grow on together until the harvest, when he will effect the separation. This surely does not teach that what the Scriptures say of the wheat is to be understood of the tares. Others of these parables are obviously designed to teach, that external profession or relations cannot secure the blessings of the kingdom of God. It is not every one who says, Lord, Lord, who is to be admitted into his presence. These parables teach that many of those who profess to be the disciples, and who, in the eyes of men, constitute his kingdom, are none of his. This is a very important lesson; but if we were to infer, from the figure in which it is inculcated, that mere profession does make men members of Christ’s kingdom, we should infer the very opposite from what he intended to teach. To learn the condition of membership in that kingdom, we must turn to those passages which are designed to teach us that point, —-to those which professedly set forth the nature of that kingdom, and the terms of admission into it. Visible Church Succession from Apostles? Much the most plausible argument of Romanists is derived from the analogy of the old dispensation. That the Church is a visible society, consisting of the professors of the true religion, as distinguished from the body of true believers, known only to God, is plain, they say, because under the old dispensation it was such a society, embracing all the descendants of Abraham who professed the true religion, and received the sign of circumcision… If such a society existed then by divine appointment, what has become of it? Has it ceased to exist? Has removing its restriction to one people destroyed its nature? Does lopping certain branches from the tree destroy the tree itself? Far from it. The Church exists as an external society now as it did then; what once belonged to the commonwealth of Israel, now belongs to the visible Church… Such is the favourite argument of Romanists; and such, (striking out illogically the last clause, which requires subjection to prelates, or the Pope,) we are sorry to say is the argument of some Protestants, and even of some Presbyterians. It is to be remembered that there were two covenants made with Abraham. By the one, his natural descendants through Isaac were constituted a commonwealth, an external, visible community. By the other, his spiritual descendants were constituted a Church. The parties to the former covenant were God and the nation; to the other, God and his true people. 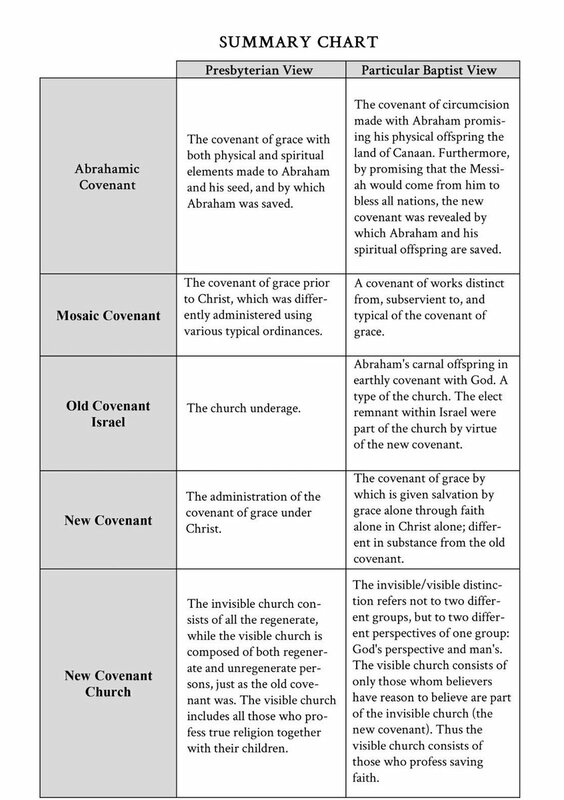 The promises of the national covenant were national blessings; the promises of the spiritual covenant, (i. e. of the covenant of grace,) were spiritual blessings, reconciliation, holiness, and eternal life. The conditions of the one covenant were circumcision and obedience to the law; the condition of the latter was, is, and ever has been, faith in the Messiah as the seed of the woman, the Son of God, the Saviour of the world. There cannot be a greater mistake than to confound the national covenant with the covenant of grace, and the commonwealth founded on the one with the Church founded on the other. Against this system the Reformation was a protest. The Reformers protested, first, against the fundamental error of the whole theory, viz., that the visible church is, in such a sense, the true church; that the attributes, promises, and prerogatives pertaining to the latter, belong to the former. In opposition to this doctrine, they maintained that the church consists of true believers; that it is a company of faithful men, a communion of saints, to which no man belongs who is not a true child of God… This is the essential character of the protest entered by all the churches of the Reformation. In proof of this, it will be sufficient to advert briefly to the teachings of those churches, in their symbolical books, as to the nature of the church. The Reformed Church in this matter agrees perfectly with the Lutheran. Indeed, as this was a subject of constant controversy between Protestants and Romanists, it seems hardly worth while to appeal to any particular assertions. Bellarmine sets it forth as they doctrine of all Protestants, “that only the just and pious pertain to the true church.” “If,” he adds, “those destitute of inward faith neither are nor can be in the church, there is an end of all dispute between us and heretics as to the visibility of the church.” The Lutherans, he says, define the church to be “the congregation of saints who truly believe and obey God,” and the Reformed, as consisting of believers predestinated to eternal life,–a distinction, in this case, without a difference. In opposition to the views of both classes of Protestants, he asserts the church to consist of all the professors of the true faith, whether sincere or insincere, who are united in the participation of the same sacraments, and subjection to the same pastors, and especially to the pope, as vicar of Christ. 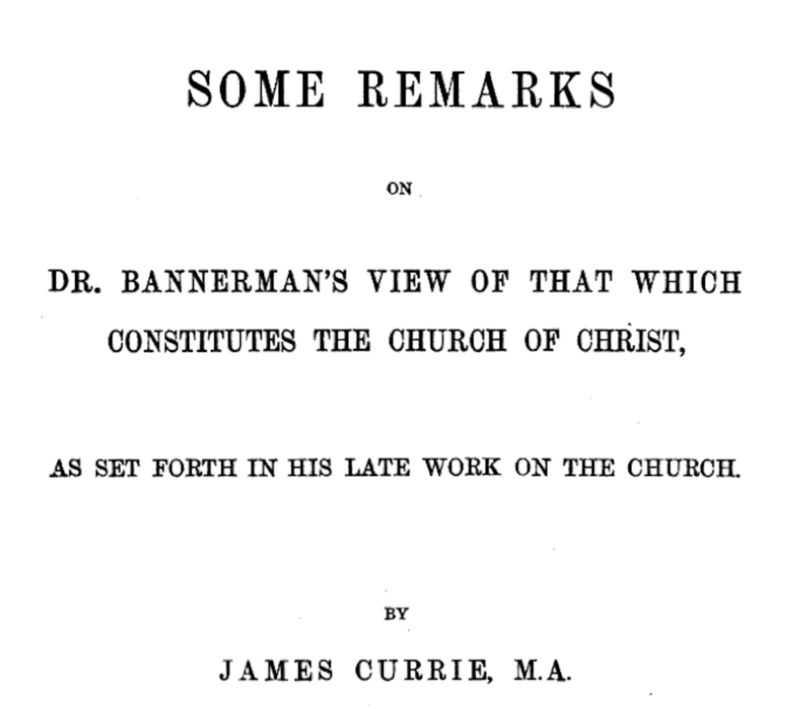 In the Gallican Confession, the 27th article contains these words: “We affirm that the church is the company of believers, who agree in following the Word of God, and in the exercise of true religion,” &c.
In a recent post I summarized Scottish Presbyterian James Currie’s criticism of Bannerman/Westminster’s understanding of the visible/invisible church distinction. 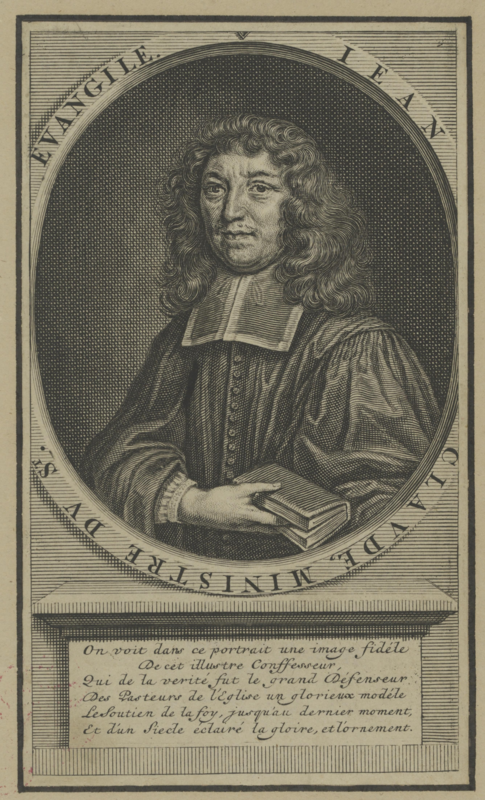 He quoted extensively from a 17th century French reformed theologian Jean Claude who had a famous debate (1678) with French Roman Catholic Bishop Jacques Bénigne Bossuet about the nature and authority of the church. Bossuet published an account of the debate, followed by Claude’s account of the debate, which was translated into English and printed in England in 1687. Claude wrote several other works including an account of the persecution of the reformed church by Roman Catholics in France (which was translated and printed in England, but ordered burned by James II), as well as a two-volume History of the Reformation – translated and printed in England in 1815. Claude is described as “a burning and shining light” whose “well-timed instructions and powerful example diffuse[d] moral and spiritual blessings all around him[. ]” You can read a brief sketch of his life here. What interests us here is that in his debate with Bossuet regarding the nature of the Church, Claude argues for an understanding of the visible/invisible Church distinction that would be dismissed today as an uninformed baptist misunderstanding of Scripture – and yet Claude shows this was the position of the French reformed confession. Claude’s book can be read in full here. Note: Claude refers to Bossuet by his title/position in the Roman Catholic church: Bishop of Meaux (thus Monsieur de Meaux) and previously of Condom (thus M. de Condom). Claude argues first that Bossuet’s definition incorrectly limits the “Church” to the its present manifestation on Earth, excluding those presently in heaven. All our business is to know, what Church this is; M. de Condom will have it all that Society that makes profession to believe, &c. we think it to be that, which making profession to believe, does so really and sincerely. My Church are thine Elect, and thy Elect are my Church; they who are mine, as my people, are thine, as thy Elect; my Communion, and thy Election, have the same measures, the same extent, and do both comprehend the same persons: So that the Election is nothing else but God’s design and project of the Church; and the constituting of a Church, is the putting that design of Election in Execution. Can any man after all this grant, that the Church should be defined, A Society making profession to believe, &c. or imagine that Hypocrites belong to this mystical Divine Body? [The] visible Church is that of the true Believers only, and that Hypocrites have no share at all in it. X. We read in Scripture of a twofold Call, one by the meer Preach­ing of the Word, commonly termed an outward Call; the other by the Preaching of the Word, and the Holy Spirit both, stiled an inward Call. Of the first our Saviour speaks,Mat. 22. 14. when he says, Many are called, but few cho­sen. Of the second St. Paul, Whom he did predestinate, them he also cased, and whom he called, Rom. 8. 30. […] them he also justified. Now the Church, whose very name im­plies a Call, must needs have been the effect of one of these two just mentioned. But if defined by a bare profession, it cannot refer to one or other of these, nor can it answer the design of either. It does not fulfil the end of the first, for the Preaching of the Gospel does not call men to a meer Profession of believing Jesus Christ’s Doctrine. A Hypocrite is so far from com­plying with this Call, that he rejects and mocks at it. It does not refer to the second Call, because the Spirit which calls with the Word, is a Spirit of Regeneration, and not bare profession. What Call shall we refer it to then? I know not any third, the Scripture mentions not any, and the nature of the thing will not admit of any. We can consider God in such a case but according to two different capacities, either as a Law-giver, commanding, exhorting, promising and threating, or as an absolute disposer of Events, and so bringing to pass in us the thing he commands us. But this is a Chruch which hath, and exerciseth such a Ministry. Who questions it? But does this Ministry belong to the wicked and hypocrites? No. It belongs only to true Behevers, the rest have no part in it; only as they sometimes exercise the external Offices, without any true right to them; or receive them unworthily, under the covering of hypocrisy, and being intermixt with good Christi­ans. XI. I suppose it is a maxim among all Christians, That Jesus Christ hath no more Churches than one, and that this on Earth, together with that in Heaven, make but that one; thus much we learn from the Trent-Catechism it self. A sure method then of discovering the true nature and essence of the Church upon Earth, would be to search into that in Heaven; for it is plain, were these of different natures, they would be no longer one, but two Churches of a several species. Thus much, I think, must be granted, and so likewise must the Conclusion I deduce from it, viz. That either the nature of the Church Triumphant, must exist in a bare profession, or that of the Church Militant cannot. Is the Church Visible, Invisible, or Both? In this there would not be the least difficulty, had not God’s design, as to his Church, been disturbed by the enemy of our Salvation. For since God calls true Believers only, and since, as we have already shewn, such alone constitute the Church; were it not for what happens from some other thing, there would not be among the outward Professors of Christianity, either Hypocrites, or Hereticks, or Superstitious, or worldly, or profane persons. And thus none but such as are truly the faithful being to be found among them, this outward profession would be a sure means, and an univocal Character to know the true Faith and Regeneration by, and consequently to know the true Church of Jesus Christ as such. So that we need say only thus much, That although the Church were not immediately visible by its inward and essential form, because none can immediately see mens hearts but God only; yet it would be visible by its external form, as by a sure distinguishing Character. For it might be seen by its Ministery and profession of Faith in Christ, and known to such a degree that a man might infallibly and positively say, That is the Church. So that the Church now, like all other things liable to hypocrisy and dissi­mulation, cannot be truly known without much difficulty. And whereas, according to the nature of the thing, the Churches visibility and invisibility ought to lye here, that its essential and internal form cannot be seen immediately, and of it self, but may by the mediation of its external form; instead of this, they do now consist further, in a discerning between true and false, a distinguishing betwixt that which is real and sincere, and that which is counterfeit. We must therefore examine, how this distinction is to be made, because in it consists the visibility or invisibility of the true Church. By the Judgment of Charity, we look upon all within the Body to be true Believers, indifferently; For the searching of hearts being not in our power, but peculiar to God, Charity makes no distinctions, but supposes that things are in truth what they should be; and upon this supposition, we call all that society the visible Church, speaking simply, and absolutely. The Visible Church All Who Profess Faith? Was not M. de Condom in the right, to say, there was not actually any visible Church, but that which he defines, A Society making profession to believe the Doctrine of Jesus Christ, and govern it self by his word? And so no other than that which comprehends good and bad, true Believers and Hypocrites? And was it not fair then to make use of this notion in the Controversy? I answer, the true Church consisting of true Believers only, is not indeed visible, by any certain and distinct sight we can have of it, so as to affirm positively and personally, such or such are of the true Church. When we would carry on this distinction to particular men, disguise and hypocrisie put a stop to it, so that in this sence the true Church will always continue invisible, till Jesus Christ come to make a full and perfect separation betwixt his own Corn and the Enemies Tares, which shall not be done till the end of the World. Thus it is not visible, not only immediately by its internal form in mens hearts, but even by these external Characters, as to certain and distinct visibility, because dissimulation and deceit often makes these marks to be doubtful. All this I grant. That we sometimes form an Idea of the Church, by a Judgment of Charity, so looking upon all external Professors in general to be true Believers, and by this Judgment we in­clude in our Notion abundance of People who really and indeed are not of the Church, and consequently have no title to the Promises of Jesus Christ. But this Notion is rectified by a Judgment of Reflection, Exactness, and Truths formed from the Idea’s which Scripture and right Reason give us of the true Church, restraining it to true Believers only; and that the Promises of Scripture must be applyed to it in this last, true, exact Notion only. Add to this, that this true Church being intermixt with the counterfeit, is not indeed so distinctly visible, that we can say with certainly, this or that particular man is a true Believer; for this is proper to God alone; but that it is however visible, in a sure, though indistinct manner, which will go so far as to affirm, That there are true Believers in such an external Profession: Add further, that this Church thus visible, becomes more or less so, according as Corruptions and Disorders are more or less predominant in their exteriour Society; and that sometimes it is mightily eclipsed, partly through the prevalence of worldly, superstitious, and such like Persons; partly through the infirmities of most true Believers; but still that it never was absolutely invisible: Add once more, that this Church now upon Earth, together with that in Heaven, and that which shall spring up in succeeding Ages, are all three that Universal Church, we profess to believe in our Creed: Add, I say, these three last Propositions to the two foregoing, and so you will comprise all I have advanced hitherto; you will be furnished with certain uncontestable Principles grounded upon Scripture, upon Reason, upon the Fathers, and upon experience; by the help of which you will be able with great ease to throw off all those difficulties usually started by the Romanists upon this Subject. We never denied the visible Church upon Earth to be Christ’s Body; not the whole Body indeed, for there is one part of it collected in Heaven, and another not yet in being, but still that part upon Earth is Jesus Christ’s Body, so the Scripture calls it, and we are so far from thinking as he saies, that quite contrary, we prove Hypocrites and Worldlings to be really no part of the true visible Church, by this very Argument, that it is called in Scripture the Body of Jesus Christ. For this reason the visible Church is thus defined in the 27th Article of our Confession of Faith. The company of the Faithful agreeing to follow the Word of God, and that pure Religion grounded thereon, and who constantly make proficiency therein. Now, this Company of the Faithful thus described, is, and is called the Body of Jesus Christ… the visible Church is in our Opinion Jesus Christ’s Body, or which comes all to one, that the Body of Christ, which is the true Church upon Earth, is visible. [O]f all the Fathers, there is not any that treats of this Subject with such exactness and perspicuity, as St. Augustin does; a Man might compile a whole Volume of what he hath written about it. This Father ex­plaining that of St. John, They went out from us, but they were not of us. These Antichrists are in the body of Christ like ill humours, the voiding of which eases the body: Thus when the wicked go out, the Church finds refreshment; and when the body throws them out, she says, these noxious humours are gone out of me, but they were no part of me; that is, they were not cut away from my flesh or substance, but opprest my stomach while they lay there. They are gone from us then, but be not troubled at it, they were not ours. But how do you prove this? 1 Joh. 2. 19. St. John says, If they had been of us, they would have continued with us. So that you see, many people receive the Sacraments with us, which yet are not any part of us; They have Baptism administred to them, they receive that benediction which the faithful are sensible they receive truly and effectually, the Eucharist, and whatever is in the Sacraments. They communicate of the same Altar with us, and yet are no parts of us. Temptation discovers them to be none. When that arises they are carried away, as with a strong wind, because they are not the true solid Corn. Nothing can be more express. Evil men, tho within the pale of the Church; That is, making an outward profession, yet are not of his Body, nor ought to be reckoned among his Members. These are distempered humours within the Body, but not at all of the substance of the Body, such as do but annoy the Body, and must be evacuated in order to give its relief. Observe again what he delivers in his Treatise of Baptism, against the Donatists. Aug. de Bapt. contra Donar. Lib. 1. Cap. 17. And in another place of the same Treatise Aug. de Bapt. contra Donatist. Lib. 3. Cap. 19. But if St. Augustin be to be believed, we must take the Church in a quite different sense; for a Society made up of none but righteous persons, and true Believers; because to such a one, and no other, do these passages belong. In his Opinion the just alone are the House built upon a Rock, the Spouse without spot or wrinkle, they only have the keys and power of binding and loosing, ’tis their censures only that men ought not to despise, if they would not be looked upon as Heathens and Publicans. The Church a Civil Society? I confess, That carnal Generation was in that Ancient People, enough to keep up their Succession in Quality of Gods People, with Relation to that temporal Covenant common to them all. Tho it be true too, that this Quality was but very imperfectly discerned in times of general Prevarications; because, if they were then Gods temporal People, they were a vicious and prevaricating People. But, I say, that carnal Generation was not enough to maintain among them a Succession, with respect to the spiritual Covenant; because the Succession here, could be preserved no other way, but by a Participation of the same Faith, and the same Charity. Now the Covenant in which the new People live, is not any longer a carnal one, but purely and solely Spiritual; and consequently, the Succession in it, can only consist in this perpetual Participation of one and the same Faith, and one and the same Charity. Visible Saints and Notorious Sinners: Presbyterian Sacramental Doctrine and Practice and the Vicissitudes of the Baptist Movement in New England and the Middle Colonies is an interesting essay from OPC pastor Peter J. Wallace. He argues that after the Great Awakening, baptist convinctions grew in Congretationalist New England but not in the Presbyterian Middle Colonies because of a difference in sacramentology. Both baptized infants, but they had different views of the visible church. Congregationalists held to the “English Puritan” belief in “visible saints.” The visible church is for those who have been saved. The Scots and Scotch-Irish Presbyterians rejected that idea. The visible church is for those who want to be saved. Wallace traces some of the history involving Isaac Backus, showing how the baptists convincingly pointed out that if the church is for those who have been saved, then there is no reason left for baptizing infants. In Congregationalism, in order to partake of the Lord’s Supper (become a “communicant member”), one had to become a visible saint by professing that they were saved. While the early Puritans, such as William Perkins, still insisted on baptizing all children within the parish [i.e. every English-born child], the increasing emphasis on inward subjectivity and the “disciplined and communal character of the Christian life” in English Puritanism led to a growing emphasis on baptizing only the children of visible saints. The original New England Puritans attempted to combine the ideal of the pure church with the holy commonwealth [i.e. state church], holding purity and inclusiveness in tension. Many years later, New England Congregationalist pastor Solomon Stoddard recognized that tension still remained. He took another half-step back towards presbyterianism. When Stoddard replied in 1690 that the Lord’s Supper was a converting ordinance, he did so on the grounds that the means of grace were intended for all those in the visible church, not only for those who were regenerate, but for all members of the covenant–thereby including only those unregenerate who were already within the covenant. On February 15, 1727, Edwards was ordained minister at Northampton and assistant to his grandfather Solomon Stoddard. 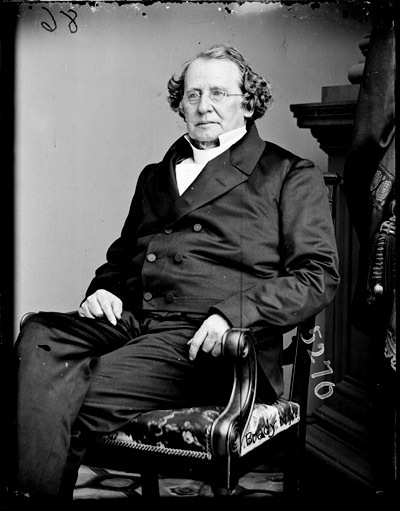 Stoddard died 2 years later, leaving Edwards to fill the pulpit. Eventually, Edwards came to disagree with Stoddard’s sacramentology and returned to the Half-Way Covenant, requiring a profession of saving faith for admission to the Lord’s Table. The Northhampton congregation kicked Edwards out of the pulpit, but his views took root elsewhere. Insisting that only those who were admitted to the Lord’s Supper could have their children baptized (and requiring transfers from “impure” churches to make a full profession of faith), the New Divinity pastors were often indistinguishable from the Separatists, and frequently cooperated willingly with Isaac Backus and the growing Baptist movement. 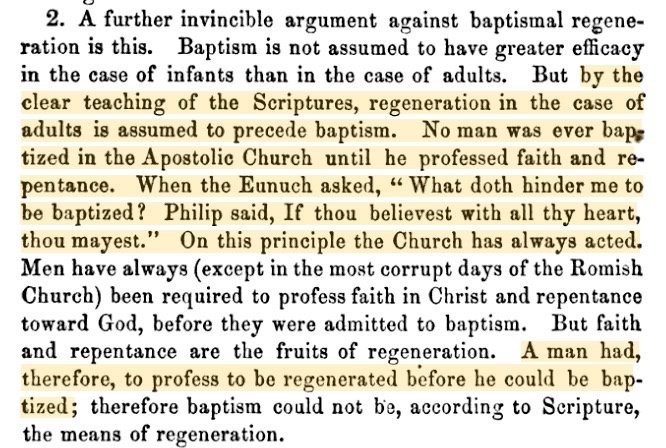 Pushing the visible saints criterion to the next step, Backus argued that only the Baptists could faithfully continue the New England tradition, since even Edwards and the New Lights compromised their principles by allowing non-professing infants into church membership. Claiming that only the New Testament was a sufficient guide to understand who the church should admit to the sacraments, the Baptists relied heavily on the argumentation of the New Lights to show that the only way to guarantee a church full of visible saints was to stop baptizing babies. The Great Awakening alone (to say nothing of later developments) produced almost 100 separatist churches–many of which became Baptist. C. C. Goen’s survey of these churches suggests that “the logic of the pure church ideal” drove New Englanders to affirm believers’ baptism as the only way to guarantee a pure church. Denying entirely that the “ordinances” of baptism and the Lord’s Supper were converting ordinances, Backus claimed that in them the “work of sanctification in believers is carried on,” but no salvific power. Hence he denied access to all but visible saints. He rejected infant baptism for several reasons: 1) it falsely supposed that there is no distinction between the old covenant, which was based on the family and the nation, and the new covenant, which was made purely with elect individuals; 2) it permitted the baptism of those who were neither regenerate nor even disciples, since they had not been taught; 3) historically, it was an innovation from the second or third century without warrant in the New Testament; 4) it violated the heart of the Puritan doctrine of visible saints, creating a territorial church that gets mingled with the world; 5) it is harmful to children by making them think that they are inside the covenant of grace, when actually even paedobaptists only believe that they are inside the external covenant; 6) if its advocates were truly consistent, they would give the Lord’s Supper to infants as well. His arguments resonated with his audience. Within a span of only fifty years, nearly 300 Baptist churches were founded in New England. Presbyterian sacramental doctrine and practice was rooted in its Scottish and Scotch-Irish background. Puritan sacramental practices had developed through their attempt to purify the Church of England, resulting in an emphasis on the gathered congregation of visible saints, called out of the world. Presbyterian sacramental practices had developed through the resistance of local communities against external pressure from England (not to mention a century of struggle with Scottish episcopacy), resulting in a strong emphasis on the sacraments as bonds which held together the whole community… Since Presbyterians emphasized the church “as the means of organising and disciplining the whole society” they only required “external [i.e. non-saving] profession and decent conduct” for church membership. … This Scottish and Ulster Presbyterian community was transplanted to the new world, where it developed in slightly different directions from the parent communities, but still within a similar trajectory. Wallace argues that Baptist principles did not experience the same growth in the Middle Colonies as it did in New England because Presbyterian sacramentology was not as susceptible to baptist critique of Congregationalism. Presbyterianism did not require a profession of saving faith – only an assent to the truth of Christian doctrine (“historical faith”). This also helps to explain why Baptists never took root among the Scots and Scotch-Irish. Baptists affirmed an extreme version of the Puritan visible saints criterion, insisting that the church should be composed only of the hopefully converted. Presbyterians had little interest in starting with visible saints; they gathered all but the profane and scandalous into the church and through preaching, catechizing, and communing, sought to transform the community into visible saints. In 1764, under the influence of Edwards, John Green sought to change Presbyterian sacramentology. 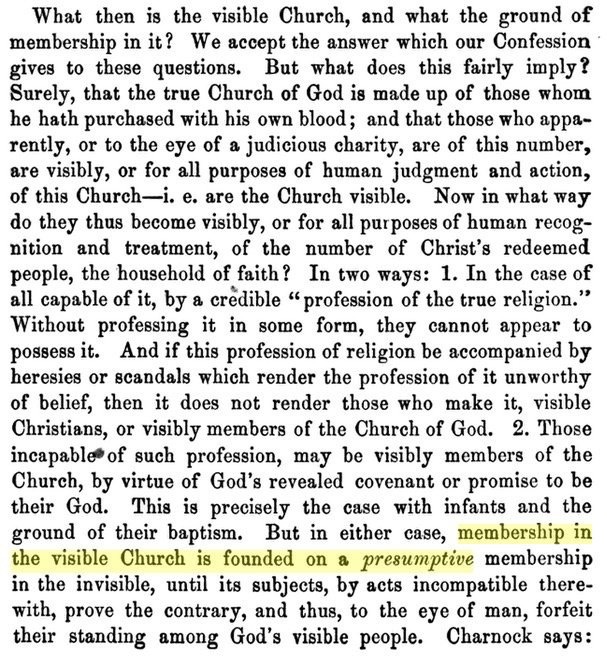 At first he had followed his mentors, Jonathan Dickinson and Aaron Burr in “admitting to the sacraments all who seemed desirous of leading a godly life,” but now after reading Watts and Edwards he had decided that only those who could manifest a “relish for religion” would be permitted to have their children baptized (9)… Green concluded by asserting that membership in the visible church consisted of three things for an adult: profession, life and baptism; but four for an infant: being a child of believing parents, baptism, and then profession and life when he reached years of understanding. Here he clearly followed the trend in New England to dissociate church membership from baptism. Insisting that the church should discipline her youth, he argued that if by age eighteen or so they neither love Christ nor walk in his ways, churches should “drop them out of their number” (71). Presbyterianism responded by the pen of John Blair. “Blair had previously established himself as one of the leading Edwardseans in the Presbyterian church” but came to reconsider his position. He argued since there is no promise of salvation outside the church, all those who want to be saved should be included. Blair bluntly asserts that baptism alone makes one a church member: “Membership in the Church of Christ admits not of Degrees” (9). There are no grounds, he claimed, for distinguishing between the church and the congregation–as though one were gathered out of the other. Rather, all who are baptized are commanded by Christ to come to the Table as soon as they have sufficient knowledge to examine themselves and discern the Lord’s body (11). Blair argued that if we view baptism as the seal of the covenant which truly makes us members of the visible church, then we should treat all baptized children as fully obligated to the covenant. Those who do not live according to Christ should be cut off (20-21). Yet the very means by which Christ has chosen to build faith within his people is through the sacraments. Baptism and the Supper “exhibit Jesus Christ and him crucified” and by the Holy Spirit “quicken and raise the Affections, and enliven every grace” (21). But if we truly believe that baptism brings our infants into the covenant, then we should believe that infants are “reputed the Professors of it untill they disavow it” (24). In this argument Blair returns to the Scottish and Scots-Irish practice of viewing the sacraments as the bonds which hold the community together… [H]is description of the sacraments as converting ordinances … echoes the Stoddardean approach. As odd as it may sound, Blair utilized an Edwardsean understanding of regeneration to undergird his Stoddardean (or more precisely, Presbyterian) view of the sacraments. Scots and Scotch-Irish Presbyterians had never developed the “visible saints” criterion that had arisen among the English Puritans, but had welcomed all who desired salvation into the church. While both camps may have sounded similar when insisting upon faithful participation in the Lord’s Supper, the actual practice of communion differed drastically, due to the fundamentally different conceptions of the nature of the visible church. Below is attempt to categorize these differing views. *At first, Increase Mather opposed the Half-Way Covenant, but when challenged, he could not reconcile his opposition with the practice of infant baptism, so he embraced and began to defend the Half-Way Covenant. He later argued against Stoddard’s practice. Critics of 1689 Federalism often caricature baptists as claiming to know who the elect are. This does not follow from any 1689 Federalism belief. We agree with the reformed “judgment of charity.” Based upon a credible profession of faith, we judge (with charity) a person to be saved. The only difference is that we do not believe that being born to a professing parent is sufficient warrant to charitably judge a person to be saved. The following is a rather revealing Twitter conversation demonstrating 1) that there is nothing radical about baptists on this point, and 2) that some (many?) paedobaptists haven’t really thought through this issue. AKA: Why I am not a baptist. The chart says that the visible church is identified by a credible profession of faith, that’s not how reformed identify the visible church. I’m sorry, you’re really confusing me. Can you please clarify? Maybe you can tell me what you aren’t getting. Everything you’ve said in the above replies. How do you think the reformed identify the visible church? How do you understand WCF 25.2? I’d have to look at what they intended by it, but I assume “professing christian” would include baptised. However, what a thing is, and how you identify a thing are not the same thing. What role does a credible profession of faith play, in your understanding? It’s a means to determine if someone outside the covenant is serious about entering into it. It wouldn’t make sense to baptize someone into the church who has no real interest in joining. So credible profession just means “Wants to join the church”? with all that entails, yes. “just means” sounds like it’s trying to make church membership into a small thing. What is required for someone to be a communicant member? For someone to be made a communicant member they have to publicly profess their faith and be baptized. OPC DPW IV.B.1 says they must “give evidence of conscious saving faith in Christ.” Do you agree? Ah, you’re talking about someone who is already a member. Yes, but this wouldn’t make them any less a church member. It’s a protection against judgement for misusing the supper. How does it protect? What would be misuse? Eating or drinking without discerning the body, because of sin. Sin in this instance would be lack of saving faith? that could be an example, though I don’t think it’s the only one. Does the public reception into full communion entail a judgment of charity that the person has “conscious saving faith in Christ”? 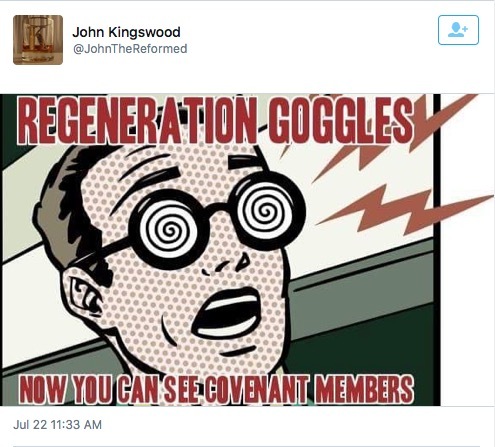 Does making said judgment of charity require “regeneration goggles”? …but that they have some sin that requires repentance. The Q isn’t about regeneration. The only time it /might/ be is excommunication. Does judging a person to have saving faith mean judging that they are regenerate? It seems to me this is exactly the problem I was pointing out, you really want this to be about something invisible, and behind the scenes. I’m saying that it isn’t, and a judgment of charity is exactly the kind of thing you use when you *don’t* know. Maybe so, my original point was, and remains that trying to ‘see’ the invisible church to identify the visible isn’t helpful. I guess I’d just say I find that argument (baps try to see invis church) a straw man, realizing you wouldn’t agree. Reconstructing the vis kirk w/ infant inclusion as primary deconstructs the system & is source of unnecessary polarizing to ur own hurt. Isn’t that what Denault says in the chart though? Would you say that Ref/Pres do the same thing, but just with different standards for ‘reason to believe’? What do you think the different standards are? For instance, a person might say that being born in a christian home *is* reason to believe they are in the invisible church. In that case, you’d say baptists and ref’d are baptizing for the same reason. Yeah, personally, I’m not a fan of answering the regeneration question at all, as you could probably tell from my answers. promise that was signified and sealed unto you in your infancy by holy baptism.” To receive prof of saving faith = to judge regenerate. Ben, can you acknowledge 1689 Fed view does not require “regeneration goggles”? I don’t think I used those words in this convo, I think there is an over-emphasis on the invisible, but only use that phrase in jest. Nor do I think baptists think they know who the elect are. To clarify your view: how can you judge someone to have saving faith without judging them to be regenerate? I received no reply to the last question, so I asked it again 2 days later. I received no reply, so I asked again 2 days later. And again 2 days after that. I asked 4 times over the course of a week and was never given a reply. And this statement from Hodge in an 1858 Princeton Review. In sum, there is nothing radical about 1689 Federalism’s view of church membership. In the 17th century, three main reformed camps were the Presbyterians, the Congregationalists, and the Baptists. The Presbyterians believed in a national church. Congregationalists believed the church consists of people who had been saved out of the world (the nation) who then gather together in congregations. No one was considered a member of the church until they had made a credible profession of saving faith and was thus admitted to the Lord’s Table. Baptists were Congregationalists who rejected infant baptism. Keach recognized a great inconsistency in the Congregationalists. In fact, it was specifically this inconsistency that led to a controvery in New England, resulting in the Synod of 1662. The Congregationalists were faced very practically with Keach’s dilemma. They could not answer it, so they abandoned a key Congregationalist tenet and turned back towards a Presbyterian view, which did not restrict membership to those who had been called out of the world. This is known as the Half-Way Covenant. As for our Brethren, called Congregational, I cannot tell what they mean by contending for the Practice of Pædo-Baptism, nor do I well know what their Sentiments are about it: they agree (as I do understand) with us (and other Christians,) that Baptism is an initiating Rite or Ordinance; now if their Infants are in Covenant with themselves, and are made visible Church-Members by Baptism in Infancy, and until by actual Sins they violate their Right and Privilege, abide Members thereof. (2dly,) Whether they ever Excommunicate (or bring under any Church Censure) such of their Children who fall into scandalous Sins, or actual Transgressions, or not? (3dly,) If not, what kind of polluted Churches must thir’s be, who have not purged out such corrupt Members? The truth is, I see not how Infant Baptism is consistent with any Church State, unless it be National; and no doubt, the first Contrivers or Founders of it, devised that way for the Progress of that they call the Christian Religion, and so opened a Door, that Christ shut, when he put an end to the National Church of the Jews.—Therefore I wonder at our strict Independants, considering their Notions, (knowing how their Principles differ from; and their Understanding or Knowledge of Gospel-Church Constitution exceeds others) for Baptism does not initiate into their Churches, it seems by their Practice; unless their Children, when baptized, were thereby made Members with them. Keach, B. (1693). Sermon III. In The Ax Laid to the Root, Parts I & II (Vol. 2, p. 34). London: John Harris.